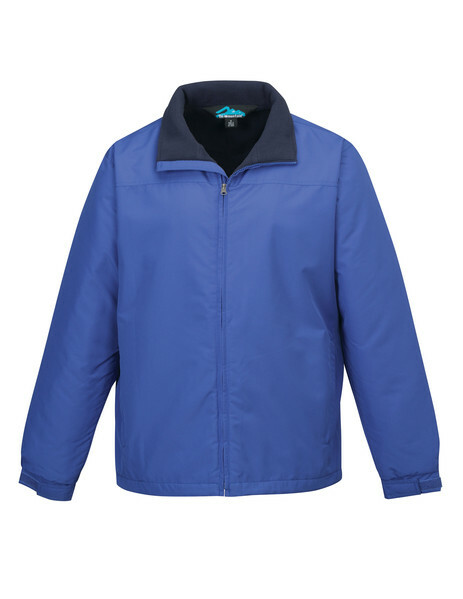 Tri Mountain Three-Season Jacket 8880 Saga [8880 Saga] - $48.38 : Sogowear Outfitters!, Polo Shirts, Golf Shirts, Jackets, Fashion Fleece, Woven Shirts and More! The 8880 Saga is everyone's favorite three-season jacket – with an updated look and quieter shell. The men’s Saga features a shell constructed of windproof/water resistant polyester reversed dobby and is lined with 7.8 oz. anti-pilling micro fleece. Accented with an inner storm flap, two front zippered pockets and an inner right chest zippered pocket. Adjustable Velcro cuffs and an open bottom with draw-cord hem for a custom fit. EmbAccess™ system for clean embroidery.